Hill and Wang, 9780809015535, 160pp. As issues of national security have recently led many to question the scope and extent of our civil liberties, there is a rekindled interest in the internment of Japanese Americans during the Second World War. This brief guide uncovers the history of that tragic part of our past. 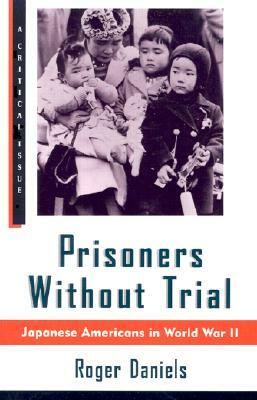 Prisoners Without Trial is part of the celebrated Hill and Wang Critical Issues Series, which offers several concise and affordable works on pivotal topics in American history, society, and politics. Roger Daniels, who teaches American history at the University of Cincinnati, is the country's foremost historian of Asian Americans.